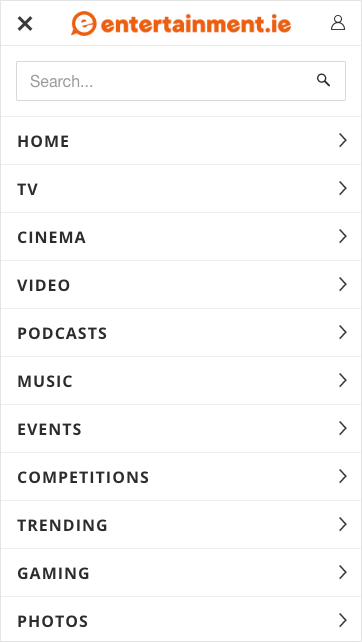 Entertainment.ie - Ireland's no.1 entertainment site. 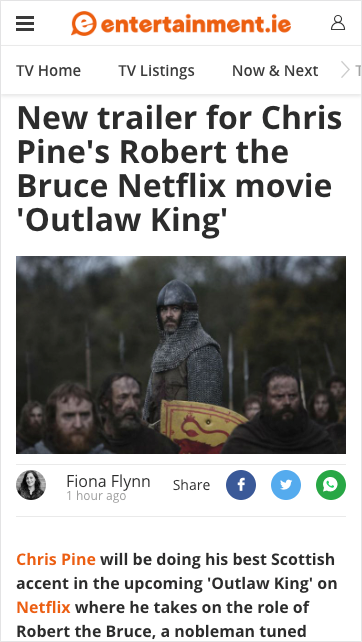 Entertainment.ie is Ireland's biggest entertainment website. 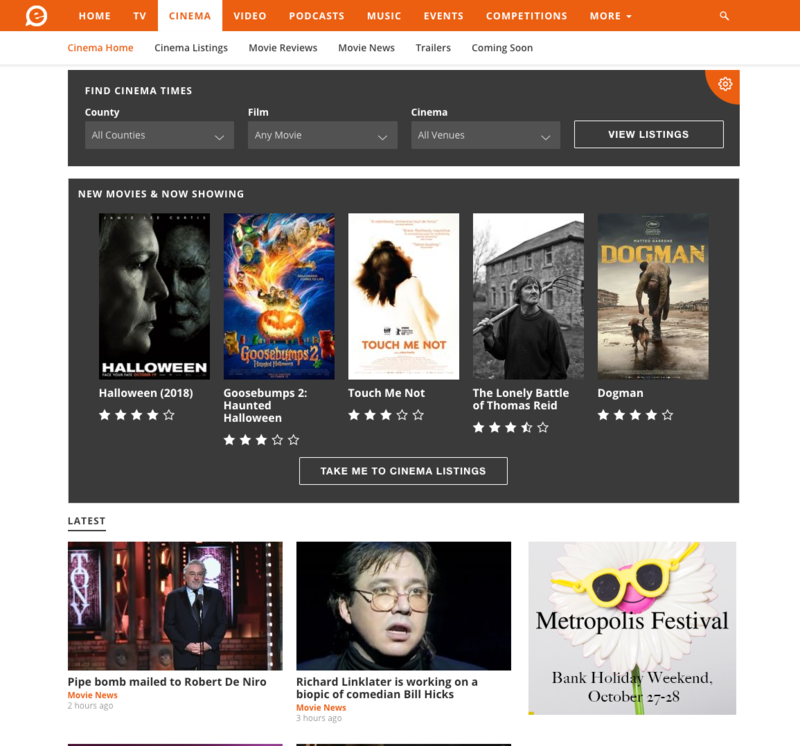 The site provides the latest news and reviews of the latest programmes and films for TV and Cinema. It provides information on upcoming comedy, festivals and theatre shows and gigs in Ireland. It also provides the latest celebrity news and gossip from around the world. 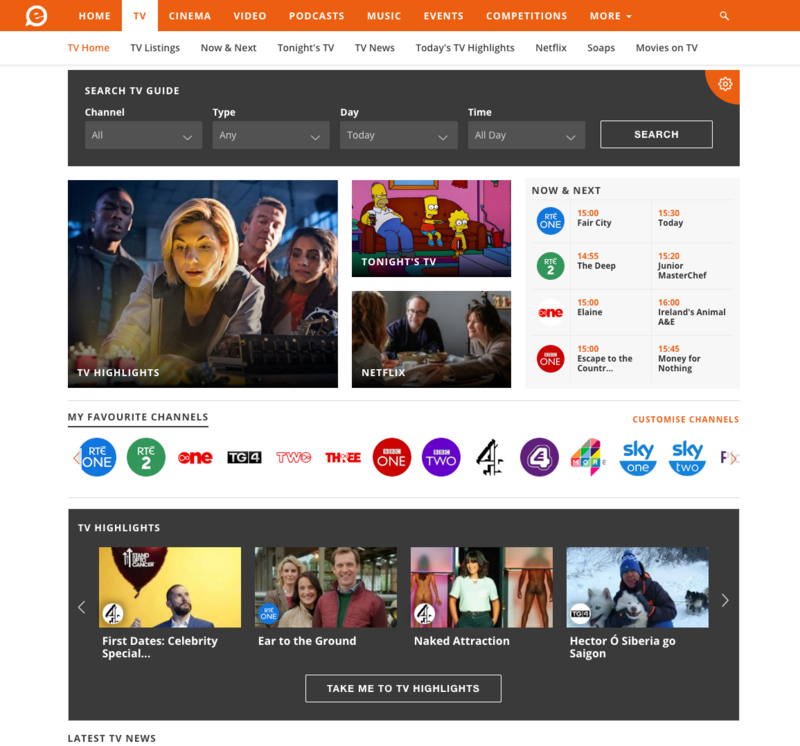 Square1 were commissioned by Entertainment.ie to design & develop a cleaner elegant aesthetic mobile responsive website with graphic elements, fonts and colours that were more be-fitting to the Entertainment.ie brand. 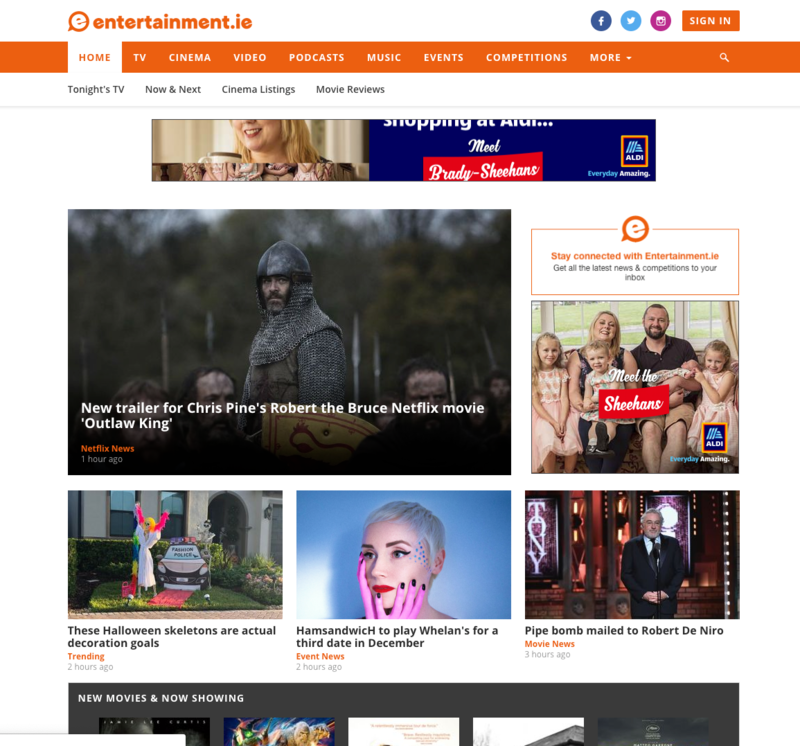 The new design and layout for Entertainment.ie is fully responsive across all desktop, tablet and mobile devices. The new site is also fully integrated with Google DFP ad server. 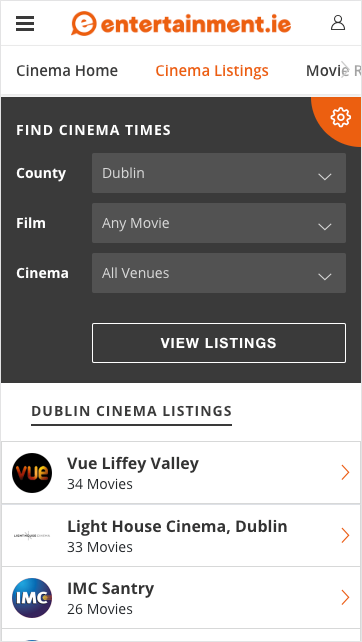 This allows the team at Entertainment.ie full control over site wide sponsorship integrations. Realtime TV and Cinemna listings are fully integrated into the new system.